Entertainment can make or break a wedding reception. Whether you opt for a DJ, band, ensemble group, or solo artist, there will be advantages and disadvantages to each choice. To help you make up your mind, we’ve compiled a few reasons why your preference might swing in favour of hiring a professional DJ. They say that when it comes to weddings, what guests remember most is the food and entertainment. The former is essential so that your guests have the energy to enjoy the latter, which is really the substance of the post-ceremony celebrations. Hiring a DJ who can adeptly amplify the mood of your guests will ensure the longevity of the merrymaking so that your night is truly one to remember. One of the biggest perks of having a DJ at your wedding reception is that you have a constantly adapting setlist. Your DJ can read the room and make live changes based on the needs of the crowd. Not only is it generally great to have dynamic entertainment so that your guests’ excitement is intensified, but it can also be helpful in smoothing out any mishaps that may occur so that your event doesn’t come to a standstill as people deal with a fainting guest, drunken relative etc. One of the benefits of hiring a DJ for your wedding is that it helps set the tone for the rest of your evening. With an experienced DJ at the helm, you can rest assured that the provision of entertainment is in the hands of a professional. What’s more, since DJs often have the microphone for large portions of the evening, they can also act as a master of ceremonies should you require someone other than your wildcard relative to make announcements to keep things running smoothly. There’s nothing quite so fun as dancing wildly to a song you love with your closest friends and family. The problem is, you might not have the forethought to include all your favourites in the list of special requests that you give to the person(s) providing your entertainment. It’s also possible that if you’ve opted for a band or solo artist, that they may not have the flexibility to accommodate the spontaneous musical whims that emerge on the dance floor. But a professional DJ is likely to have a database of tens of thousands – if not hundreds of thousands – of songs, enabling them to weave requests of different genres into the setlist for the night in a seemingly effortless way. Hiring a DJ for your wedding means you’re also hiring a professional-grade sound system. This is particularly important if you have a larger number of guests or if your reception will be held outdoors, as guests will actually be able to hear and enjoy the music. Experienced DJs will also have backup systems in case technical problems arise – which could very well happen despite impeccable planning. This means that no matter what, you’ll have a professional quality sound system at your reception to play a never-ending stream of great music. The last thing you want is to have to end the night prematurely due to the gear malfunctioning. It’s important that the songs holding special meaning for you as a couple get played on the night. However, when it comes to the overall setlist, its design should really be catered to the crowd of guests attending rather than to your individual tastes (particularly if you have niche music tastes). That way, you can ensure that everybody has a great time as a collective, rather than having a crowd of wallflowers who aren’t able to get into the dancing mood. With their years of experience working different crowds, DJs will have the perfect variety of songs to keep your particular group moving through the night. Of course, the many other perks of having a DJ aside, the advantage that affects you the most is that you can have some peace of mind. Knowing that the entertainment is sorted will allow you to let your hair down and fully enjoy the festivities. You don’t have to stress about the solo artist having a sore throat, or how to fill the longer transitions between songs when you’ve got a five-piece band. 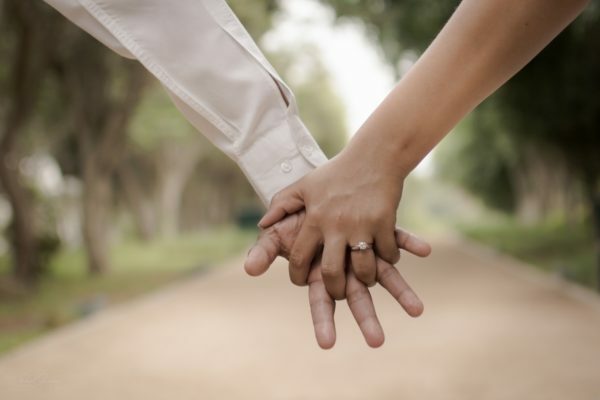 You can be truly present and experience all the best moments of this first night of your married life. Music can make or break your Wedding day. It’s often one of the things guests talk about afterwards, whether good or bad! Much thought should go into the planning of the Wedding entertainment for your special day. Here are our top 10 tips we have picked up along the way to help you out. This is usually the first place to start and generally it’s whether you want live music with a band or with a DJ or…is it something you are going to try and do yourself. Your Wedding entertainment budget can be a deciding factor but do some research and be sure to ask around for recommendations from friends or your venue. Remember, the cheapest is not always the best option. It’s a good idea to have some background music playing as people arrive and start to mingle. Aim for around 20-30 minutes otherwise, without music it can seem like quite a long wait. If you’re doing it yourself think of easy listening music with a little bit of tempo. Not sure what to put on your playlist? A DJ can often provide this music for you (as well as the Ceremony and the Reception music), which could save you organising playlists and a sound system. This should be something you need to consider as you start to decide what your Wedding entertainment will consist of. It’s good to check with the venue if they have any limitations with Wedding entertainment and entertainers…whether that is noise, power, space etc. Ask the venue manager what they feel usually works well at their venue or within the space you’re occupying. Also ask if there are any requirements for the entertainer you may have booked. If your entertainer hasn’t been to the venue before it’s a good idea to suggest they do a walk-through before the day. It’s not always easy to watch a Wedding entertainer before your big day as they’re usually performing at a Wedding! It’s highly unlikely the couple will want random people turning up at their big day to scope out the entertainment. Enquire if they are playing anywhere public which might be an easier option. Otherwise, arrange a pre-Wedding catch up to discuss the day in person (or via Skype if in person isn’t possible). That way you get to see them, discuss elements of the day like music, timing, special requests etc. 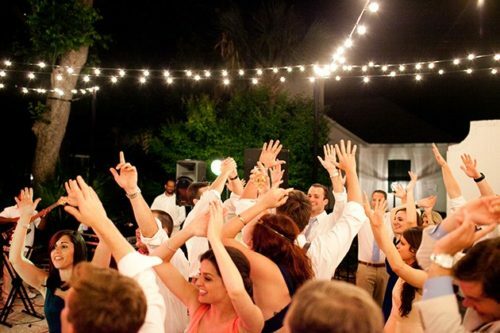 Give your DJ or band a list of your favourite songs when discussing your Wedding entertainment. This includes a list of ‘must-plays’, which may include your favourites as well as songs you know your guests will love, or your parents would really appreciate hearing. If it’s a band, talk to them first before you book as you’ll want to know if they can play the songs or if it’s the style of music they play. If it’s a DJ, be sure they are open to your suggestions. A good DJ should be open to your requests; it’s not a chance for them to play what they want. Some may specialise in a certain style of music so it’s a good thing to ask when doing part of your research. If there’s something they don’t have and struggle to get, they may ask you to supply it and if you have a version of it that’s great! You don’t want to make it hard for your guests to talk to each other. It’s a good idea to specify times you want softer music and times when you want it to be louder for the dancing and partying. Some entertainers can get carried away with the moment so if it gets too loud don’t be afraid to go over and mention it to them…for the greater enjoyment of the rest of the evening. A song that goes on can be a bit of a drain for both the guests and yourself. Do you really want to be swaying in front of everyone for longer than you have to? Do a few run-throughs if planning to do some choreography to the track you’ve chosen and think of things like when you want the bridal party to join you and when you want to invite up the rest of the guests too. If it’s a really long track, work with your DJ who may be able to edit it to make it shorter. You and your soon-to-be-spouse should sit down together to decide the list of songs you want your entertainer to perform or play on the day. It’s important you both have a say. Just like picking your ‘must-play’ songs, a ‘do-not-play’ list is also a good idea. Avoid having songs you really dislike for whatever reason played and ruining your day. To really get an idea of what your guests may like when it comes to the music for your Wedding day then consider asking them to suggest one song when they RSVP. It gives them the chance to hear one of their favourites and, if they have some input then they’ll be more keen to get on the dance floor when their song comes up. You may have some quite eccentric or particular music tastes but remember you’ve invited a number of people to enjoy the day with you so accommodating their music tastes is vitally important to them sharing the day with you and enjoying it. You may love 90’s grunge but your guests may like a range of other genres to get them up dancing and celebrating your big day while your older guests may like to hear some 80’s and 90’s. Perhaps leave some of your more obscure favourites towards the end of the night or just select a couple of ‘must-plays’ that will keep you happy and give you a chance to rock out. The Next Big Wedding Song Of 2017? 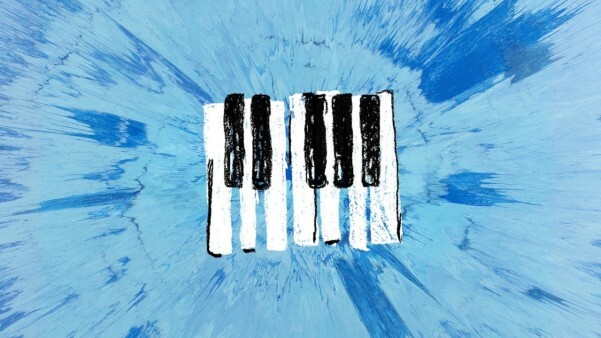 Ed Sheeran’s done it again. He’s released another song “How Would You Feel?” which could become (and we’re putting bets on it!) the biggest and most requested Wedding song of 2017. When planning your Wedding, consider a Winter Wedding. 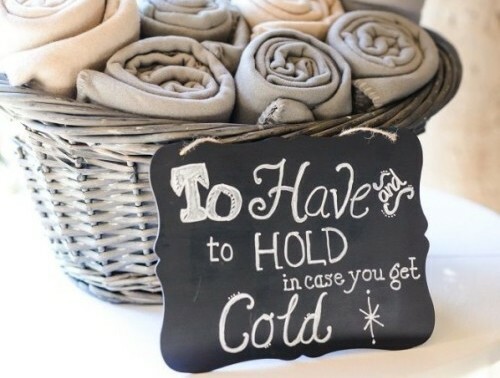 There’s some great reasons to plan your Wedding in Winter and here’s six of them! Wedding venues quickly become booked solid through summer months, which means your dream venue may be unavailable for a year or more. By planning a winter wedding, you’re far more likely to secure the venue you want, when you want, without peak season prices. Winter’s bare boughs and frosty carpets provide an ideal canvas for splashes of colour. Bold accent hues pop while soft pastels such as aquamarine look ethereal when juxtaposed against a snowy landscape. Incorporate nature’s best in your theme. Consider a chocolate brown pinecone motif, or weave winter wonderland symbolism throughout the event. The New Zealand winter sets the stage for stunning wedding photos. From Mount Ruapheu to Mount Cook many of our mountain ranges are snow-covered, and the South Island’s magnificent glaciers also make particularly breathtaking backdrops. Winter’s overcast weather creates flattering, ambient lighting. Plus, you don’t have to worry about squinting into the sun during the portrait session. The North Island experiences more rainfall in winter than any other season so if you’re planning outdoor photos, have an indoor back-up plan. There are fewer public holidays during the cold months – which is ideal if you’re planning a multi-day event, as your guests’ accommodation options are likely to be plentiful and more budget-friendly. Furthermore, your wedding is unlikely to clash with your guests’ own holiday-weekend plans. Even boutique luxury accommodation, such as Auckland’s Mollies and the South Island’s Blanket Bay have reduced room rates, so you can get luxe for less. However, if you’re planning a ski resort destination wedding, you’ll be competing for space with thousands of snow-goers, so you’ll need to book accommodation well in advance. Why not pack up and head off to the mountains for a ski/snowboard weekend? By organising a group lesson for newbies even the most timid snow bunnies can enjoy hitting the slopes. If pampering is more your thing, what better place to kick back in winter than the hot pools? Rotorua’s Polynesian Spa has been voted one of the top 10 day spa resorts in the world. In addition to featuring a variety of massage therapies on the menu, it offers private thermal pools, perfect for a girls’ gathering. On the shores of the South Island’s Lake Tekapo, Alpine Springs Spa & Winter Park is all about celebrating the winter season. As well as hot pools and a spa, they have an ice hockey rink and state-of-the-art snow slope, dedicated entirely to snow tubing. Ridler DJ and the thrills of Western Springs Speedway! Ridler DJ is proud to be involved in the 2016/17 season of speedway at the Vodafone Western Springs Speedway, playing music at every event held over the Summer to the thousands of spectators there to witness some of the action, thrills and speed at the iconic Speedway track. 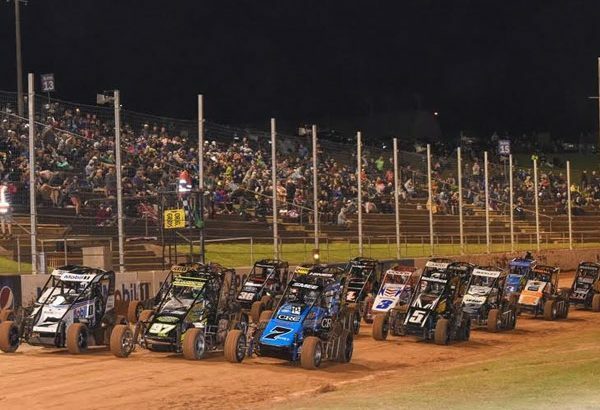 Attracting thousands of Speedway enthusiasts and families wanting an entertainment filled night out, the Vodafone Western Springs Speedway is certainly a place to satisfy engine-heads, speed fans and mums & dads with kids. Throughout each of the home speedway events, Ridler DJ will be there playing music as part of the entertainment and production crew so make sure you get along to the speedway this Summer and enjoy a fun night out with friends and family! 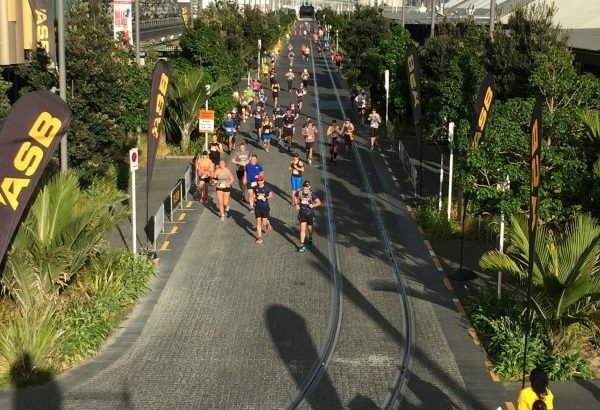 For the second year, Ridler DJ was set up outside the new ASB North Wharf on Auckland’s Wynyard Quarter for the Auckland Marathon which see thousands of people take to the streets around Auckland to participate in a range of running distances. Outside the ASB North Wharf and the Viaduct Events Centre, ASB had a cheer squad there to support, motivate and cheer on those running past as they head for the finish. A squad of bright yellow t.shirts and motivational slogans on placards gave runners a bit of a boost for the final section. Ridler DJ was there too, providing a fun and uplifting atmosphere through music. From 7am through to the final runners/walkers approx. 11:30am, we played a range of music styles for all ages groups participating in the event and all upbeat and fun songs to help get them through. Once again, Ridler DJ was providing the music for another iconic Auckland event and if we’re honest, we’d rather be playing the music than running it! 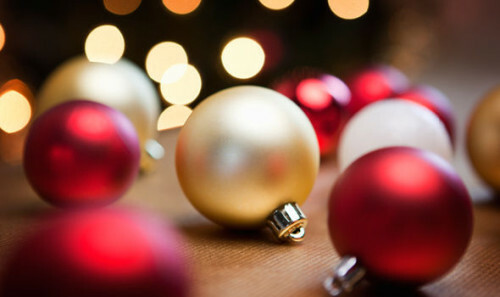 It’s that time of year when planning for the end of year Christmas function or celebration takes place and now is definitely the time to start considering your Christmas function entertainment. 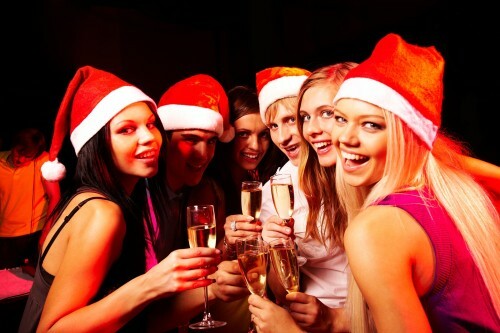 November/December is typically the timing for Corporate and Workplace Christmas Functions so many dates are in demand, with Friday and Saturday nights becoming limited so it’s best to get in as early as possible. We’re available for your Friday/Saturday evening, weeknight party or if you’re wanting some music for your weekend picnic/family/social day. Ridler DJ has experience working with a number of companies to provide the entertainment for their employees or customers to really celebrate and finish the year off with a bang. It’s a great way to say thanks! Whether it’s a party or an awards evening, talk to us! We provide quality professional sound equipment and the latest lighting technology with a huge range of options available to really make your event stand out. From flashing lights to a specific colour theme or your logo lit up on the wall or floor…we can do it all. We can also work in with a majority of leading AV companies who may already be providing your sound and lighting so we can just ‘plug in and play’ and liaise directly with them to make the whole process simpler. I’ve just spent the last two weeks checking out some of the best men and women from around the world battle it out on Centre Court at the ASB Tennis Arena for the ASB Classic in Auckland. Ridler DJ worked in partnership wth Smart Moves Group to provide the music in front of thousands of spectators over the first two weeks of January 2016. Stuart Dwight from Smart Moves Group and myself worked with a team of people involved in the ASB Classic to provide not just the music but also stage direction for all that was going on on Centre Court. 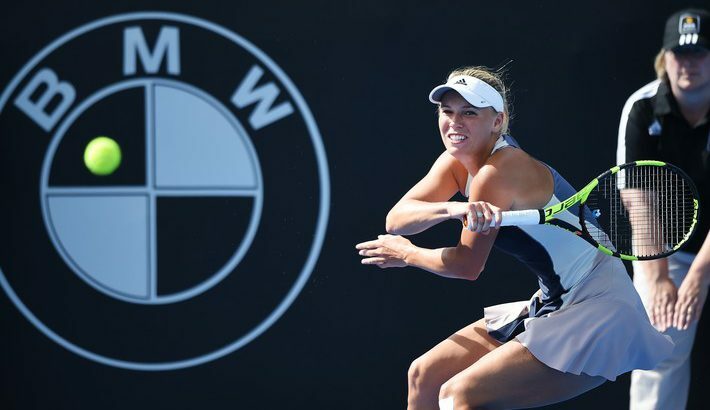 These people included the ASB Classic organisation and management team, Flightscope and Monstavision who provided the big screens and rolled out commercials and graphics and the Magness Sound team who provided the speakers and sound equipment. Our role was to ensure everything worked seamlessly between all parties as well as the on court MC and also SKY TV. A big part of the role was to provide the music between games on centre court but to also ensure the big screen activity was delivered at the right moment and that the sponsors received there allocated screen time. We also executed sponsor activations on court between matches with our MC and sponsors and also ensured our on court MC delivered the right messages at the right time and ensured the crowd were gearing up for an exciting day/night of tennis. All this behind the scenes activity ensures that the ASB Classic event experience for all those attending from NZ and around the world is a professional, exciting and informative experience. It also means that with Ridler DJ and Smart Moves Group overseeing all the little elements for the sponsors, organisers and broadcasters, we can make sure everything that has been promised is delivered as per their requirements. It’s that time of year again where we look through the requests of songs from Weddings in 2015 to find the top 20 Wedding First Dance Songs 2015. The First Dance is often a dreaded moment of the Wedding for some (especially those with two left feet!) but it’s also an exciting one for others as they share the first moment together in front of loved ones with a dance. The chance to put any moves they’ve been rehearsing into practice and then once it’s done, you can give a great big sigh of relief as the final formal moment of the night is completed and you can now get on with the party! There’s a few new ones in the list this year and definitely a few that seem to feature on the list every year including Michael Bublé, Eric Clapton, Etta James, Jason Mraz, Lonestar and Jack Johnson. The list this year is also more heavily modern than usual with far more songs from the last couple of years featuring in the list for 2015. The hard part now is choosing which of this great list is a song you would choose to have as your First Dance song if currently planning your Wedding! Check out the top 20 Wedding First Dance Songs 2015 list below. #5 – The Lumineers – Ho Hey!